Ear Plugs offer the safest, most reliable solution to ear pain caused by rapid air pressure changes. 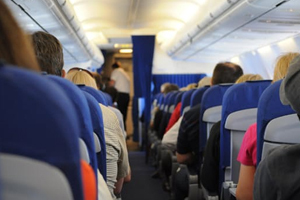 The earplugs listed here work by slowing the movement of air into and out of the outer ear, giving your inner ear more time to adjust to the changes in air pressure often experienced during flight. This approach works well for most people, eliminating or greatly reducing the ear pain they feel due to rapid changes in altitude when taking off and landing. Many people are also concerned about the pain their children may suffer when traveling by airplane; some of the flying earplugs below are designed especially for children. Additionally, all of these earplugs also will reduce the noise level, for a more comfortable flying experience all around. (NRR 22) FliteMate flying earplugs are the economical choice in top quality pressure management ear plugs for flying. FliteMates are washable and reusable so you can use them for years, making FliteMates the best value in flying ear plugs on the market today.